Does your bike need a check over? Visit Dr Bike Thursday 21 March outside the Student Hub 11:30-14:30. 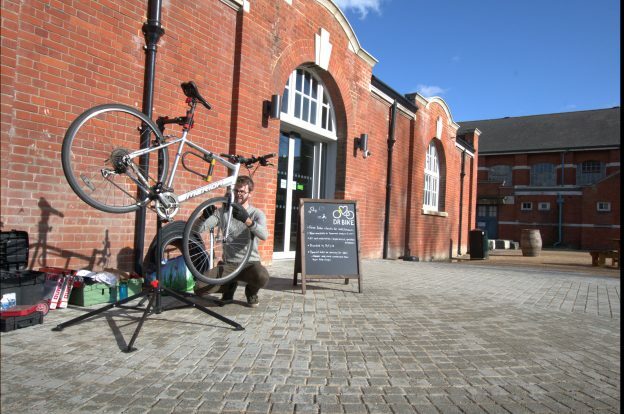 Dr Bike are trained bicycle mechanics who regularly come onto campus to check and adjust your bike for free. The service is available to University of Kent and University of Greenwich students and staff. Additional work will be quoted individually but will always be at a special reduced rate. If you do not own a bike, check out the Rent & Ride cycle hire scheme. This entry was posted in News and tagged cycling, Dr Bike, free bike check-up, Medway on March 14, 2019 by Miriam Sandiford. We are excited to announce a new trial cycle hire scheme at Medway campus. 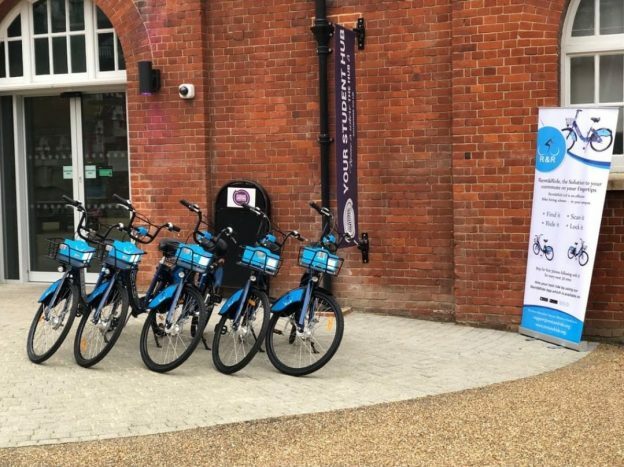 The University of Kent are working in partnership with Rent & Ride (R&R), which is an affordable dockless bicycle hire scheme. 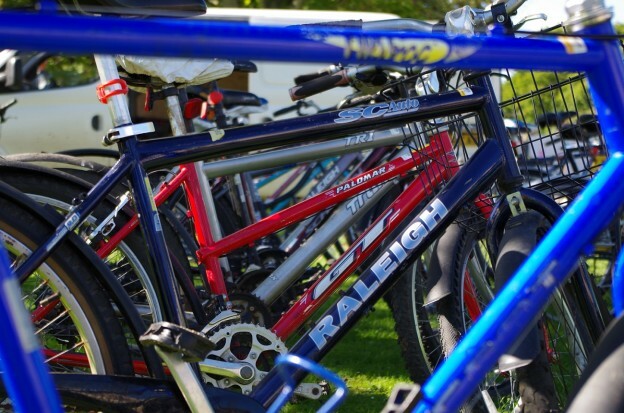 When is the R&R cycle hire scheme launching? The cycle hire scheme launched Monday 14 January. Download the R&R app. When you log in, the app will show the nearest 5 bikes to your location. When you reach the bike you want to ride, unlock the bike by scanning the QR code on the lock and start your ride. When you are finished, park and lock the bike in a suitable bike parking location and tap ‘Finish trip’ on the app. A subscription is available for University of Kent students and staff. Student subscription is only £25 per year or £10 per term. For staff, the subscription is £50 per year or £20 per term. The annual subscription allows you to use the bike for 30 minutes free every day. After the free minutes, 50p will be charged for every 30 minutes up to a maximum of £5 per 24 hour period. Users without a subscription can pay 80p per half hour, followed by £1 for every half hour capped at £10 per 24 hour period. R&R will be demonstrating the bicycles and the app at the Student Hub 12:00-14:00 Monday, Tuesday, Thursday and Friday (14 January onwards). They may also demonstrate the bikes at other locations on campus. This entry was posted in News and tagged cycle hire scheme, cycling, Medway, R&R, Rent & Ride on January 15, 2019 by Miriam Sandiford. 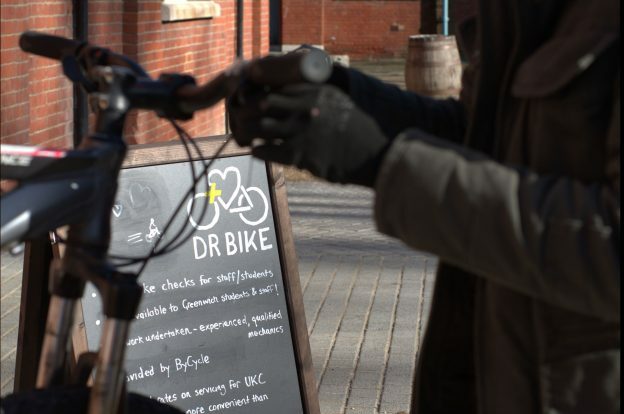 Get your bike checked and adjusted for free by ‘Dr Bike’. The Dr Bike service is provided by Chris and his team at ByCycle, working with the Transport Team, Estates department. Additional work will be quoted individually but will always be at a special reduced rate. The Dr Bike service supports the UN Sustainable Development Goals 3 (good health and well-being) and 11 (sustainable cities and communities). See Estates Sustainability to learn more about the goals. You can find Dr Bike at the Cycle Hub by the Pavilion on Park Wood road every Wednesday during term-time 08.30-15.30. Dr Bike visits Medway campus on a monthly basis during term-time. Dr Bike will next be at Medway campus Thursday 15 November 2018. Find Dr Bike outside the Student Hub 11.30-14.30 for your free bike check-up. The service is available to University of Greenwich and University of Kent students and staff. This entry was posted in News and tagged bike check-up, Canterbury, cycling, Dr Bike, Medway on November 9, 2018 by Miriam Sandiford. For students at our Medway campus, the cheapest way to commute to university is our Arriva Student Annual ticket. This ticket allows travel on any Arriva bus throughout Medway, Kent and East Sussex for the entire year. The Universities at Medway work with Arriva to provide highly discounted bus tickets for both students and staff. Because of this, the student annual ticket is only £145. This works out as only 39p per day for travel all around the region! The University of Kent supports and encourages staff, students, and visitors in using bicycles as a means of transport to and from campus. To promote this initiative, the University has provided a number of designated cycle racks. To make sure all cycle shelters are maintained, Waste and Recycling are in the process of cleaning the shelters on campus. The work is expected to be completed before the start of the academic year. Each shelter and cycle rack on campus has been numbered and a round metal disc has been installed beside it showing the number. The cycle map on our website has been updated with the numbers. When reporting an abandoned bicycle or requesting access, please quote the corresponding number for the shelter or rack. For access to the cycle shelters, please come to the Security and Transport Centre, where we can grant access for all card access shelters, except those within Turing. This entry was posted in News and tagged bicycle, Canterbury, Canterbury campus, cycle shelter, cycling, Estates, Medway, sustainability, transport, transport team on July 24, 2018 by cef20. Friday 23 March- 21 parking bays will be reserved in Eliot car park for exhibitors and workshop leaders at the Wellbeing festival, as requested by Student Support and Wellbeing. Wednesday 21 March- Currently 43 visitors have requested parking for the Medway applicant day. Applicants have been advised to park in the Mast Pond car park. This entry was posted in News and tagged Canterbury, Medway, parking disruption on March 19, 2018 by Miriam Sandiford. Dr Bike returns to Medway campus Tuesday 20 March 2018. Find Dr Bike outside the Student Hub 11.30-14.30 for your free bike check up. Dr Bike’s services are available to University of Kent and University of Greenwich students and staff. The Dr Bike service is provided by Chris and his team at ByCycle, working with the Transport Team, Estates department. Additional work will be quoted individually but will always be at a special University of Kent reduced rate. This entry was posted in News and tagged ByCycle, Dr Bike, free bike check-up, Medway, Student hub on March 5, 2018 by Miriam Sandiford. Wednesday 21 February- There are currently 31 visitors who have requested parking for the Medway applicant day. 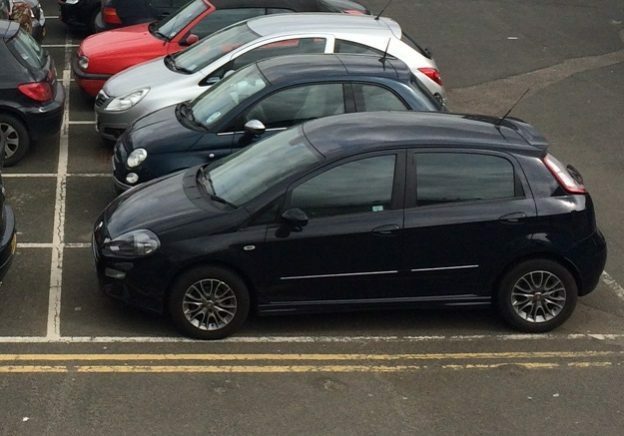 Applicants have been advised to park in the Mast Pond car park at Chatham Historic Dockyard. While no parking bays are being reserved, the additional visitors to campus may affect parking on this day. This entry was posted in News and tagged Canterbury, Medway, parking disruption on February 20, 2018 by Miriam Sandiford. Dr Bike are now offering their services to University of Greenwich staff and students as well as University of Kent staff and students. The next Medway date is Thursday 15 February 2018. Find Dr Bike outside the Student Hub 11.30- 14.30 for your free bike check-up. Check for updates on twitter @unikent_travel on the day. Dr Bike are trained bicycle mechanics who regularly come onto campus to check and adjust your bike for free. Chris and his team at ByCycle are continuing the excellent services on campus provided by CyclingAge, working with the Transport Team, Estates Department. This entry was posted in News and tagged bike check, cycling, Dr Bike, Greenwich, Kent, Medway on February 6, 2018 by Miriam Sandiford.